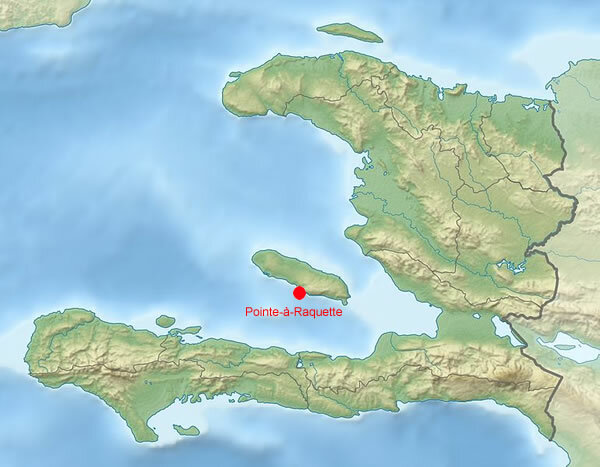 Pointe-à-Raquette, site of a recent government meeting, can be found in the Ouest Department of Haiti in the La Gonâve Arrondissement. The municipality, whose name in Creole is Pwentarakèt, is one of the island of La Gonave's two towns. At last count, the population in the municipality totaled just over 22,000, with just about a thousand more men than women. This number amounts to just less than 30% of the population on the island. Those within the town number just under 4,000.